So might he well say of Bishanyia Vincent whose performance of Nell Gwynn in Deborah Jones’ production of NELL GWYNN is the spark that ignites Jessica Swale’s splendid script and flagrates a crackling ensemble cast. There’s more than merit in Vincent’s meretricious portrayal of a forthright and feisty woman. Impassioned, intelligent and intrepid, she skilfully navigates Nell’s trajectory from instinctive banterer to accomplished performer. Vincent’s delivery has more pith than the oranges Nell hawked at the theatre before her ascension to the stage and she is never less than mesmerising throughout the show. By no means lost in her wake, her fellow performers follow course, cleaving a concentrated and combined prowess that propels the production with palpable energy and delight. Rupert Reid as charismatic leading man in the King’s Company, Charles Hart, holds suave and sturdy sway over the stage, while Shan-ReeTan as Thomas Killigrew, actor manager of he King’s Company, sways with uncertainty at the revolutionary recommendation of putting a female on stage, only to be assuaged by sell-out shows. Furious at this spurious idea, Steven Ljubovic as Edward Kynaston, the actor usually assigned the female parts, is a fabulous frenzy of barely contained hell hath no fury, flounce and pounce and pouting prima donna. Steve Corner is affably dotty and discombobulated as playwright John Dryden, coming up with improbable scenarios and fretting that he has no endings and has run out of jokes. Lloyd Allison-Young cuts a dash and commands a courtly comic presence as Spanish pacifier and spaniel fancier, King Charles, the royal entranced and enchanted by the “real” of Nell Gwynn. Eleanor Ryan as Nell’s sister Rose and Susan Jordan as her gin soaked mother beautifully distil Nell’s back story and Debra Bryan is a treat as Nancy the theatre company’s dresser. What best fits the villain of the piece is Lord Arlington, played here by the steely, still and sharp presence of Peter Mountford. Jessica Swale’s writing is playful, poignant, with prose and poetry enjoying the cut and thrust and riposte and the players relishing in the riot, the ribaldry, and romp of it all. Theatrical jokes, literary jokes and irreverent reference to popular culture abound in bawdy abandonment, pomp and circumstance waylaid by romp and consequence. Production values are also high with John Cervenka’s set of reversible panels giving both a simple aesthetic and ease of scene change, aided and abetted by Alex Holver’s lighting and Deborah Mulhall’s excellent costumes. 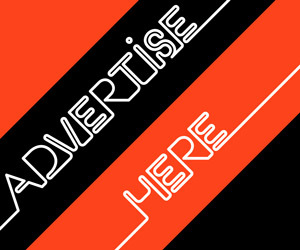 “There’s only one way to guarantee a sell out” muses Killigrew. “Nell” is the tart retort from Hart. And Nell it is. 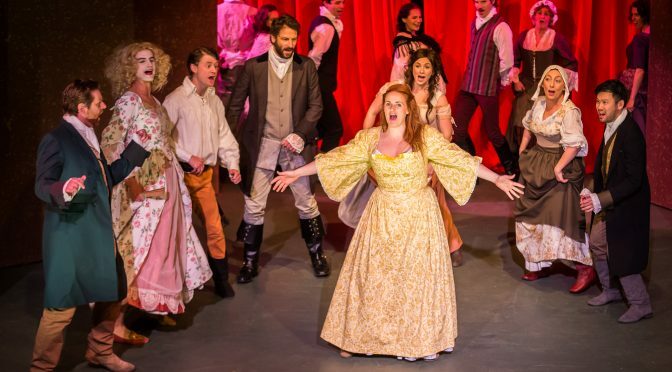 If ever a show deserves to sell out, it’s NELL GWYNN. 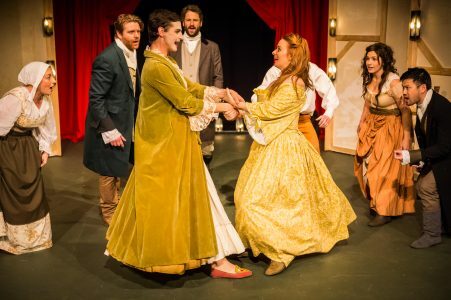 NELL GWYNN plays New Theatre 542 King Street Newtown Thursday – Sunday until 8 September. Previous PostA STREETCAR NAMED HOT TIN MENAGERIE: IMPROV ON A THEMENext PostWEST OF SUNSHINE: STANDING OVATION AT VENICE FF. WE HAVE GIVE-AWAYS.